a.a.s. 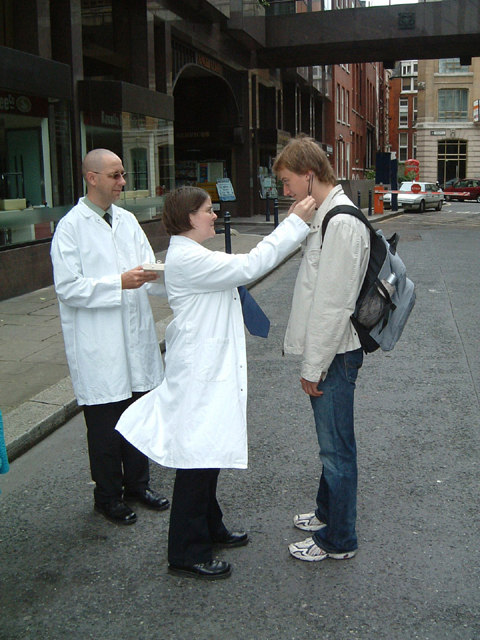 dressed smartly wearing white lab coats and carrying a small case containing a range of tuning forks. 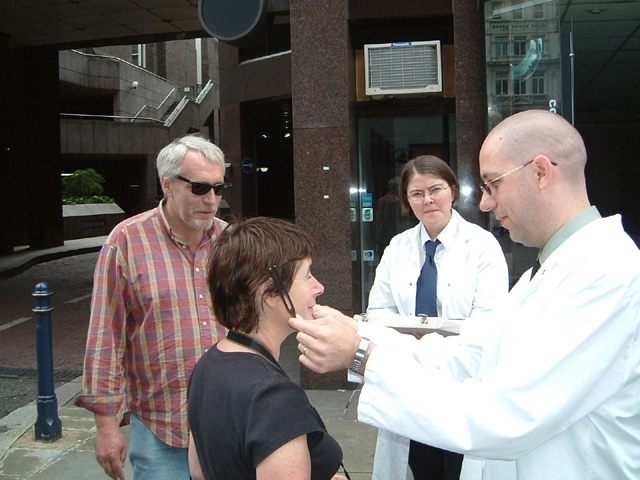 Members of the public were approached, their ears inspected and two tuning forks selected. The performers then struck the tuning forks against the box and waved them either side of the person’s head to create a personalised auditory experience. This entry was posted in Event on August 29, 2004 by admin.